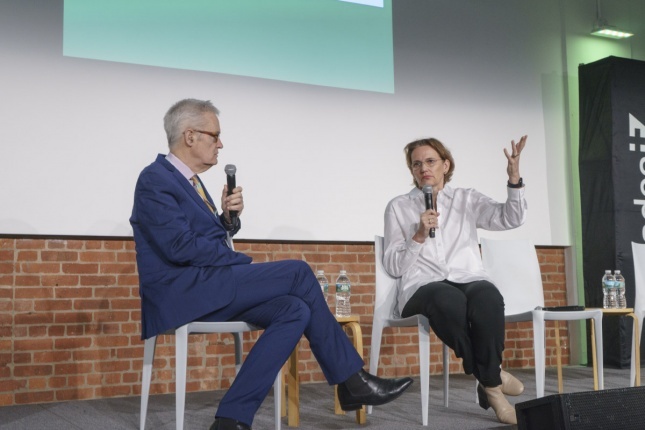 The Architect’s Newspaper’s Facades+ conference, part of a conference series on innovative building envelopes, has once again touched down in New York City. This year’s morning keynote speaker, Francine Houben of Mecanoo, delved deep into the firm’s projects around the world. The Dutch architect described seven very different projects, united by technically demanding facades that all referenced the unique history of their surroundings. 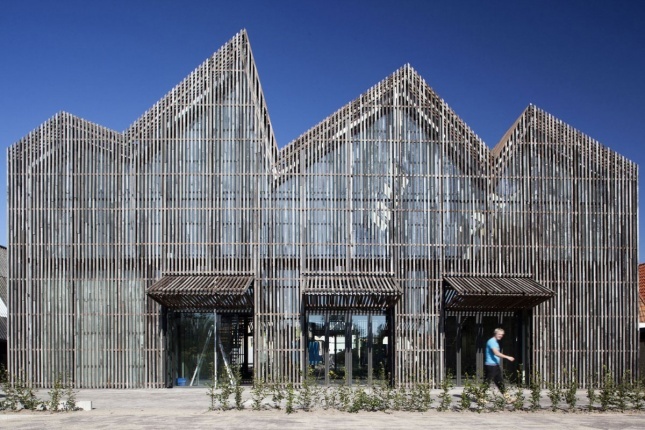 Houben began with the Maritime and Beachcombers Museum on the isle of Texel, The Netherlands. The 4,000-square-foot museum punches above its weight with a facade of vertically-oriented, recycled wood planks that dapple the incoming sunlight and reference the maritime history of the island. That attention to observation extends to a series of contextual facades. In discussing the Palace of Justice in Córdoba, Spain, Houben referenced the city’s extreme heat and the way that residents layered terraces to block the harsh sunlight as key factors that drove the densely-layered development around courtyard recesses. 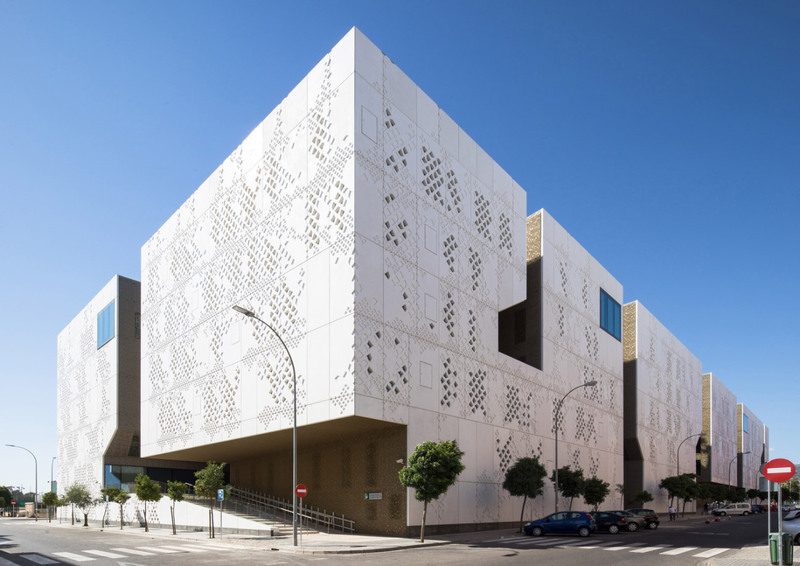 The tessellating perforations in the white glass fiber reinforced concrete (GFRC) panels passively shade the interiors and cool occupants while also referencing historic sun shading in the region. A blending of old and new design also featured prominently into Mecanoo’s work on the Bruce C. Bolling Municipal Building in Boston. The firm’s first built projects in the U.S.–in collaboration with the locally-based Sasaki Associates–involved inserting a sinuous brick building on a triangular plot with curving historical facades in each corner. 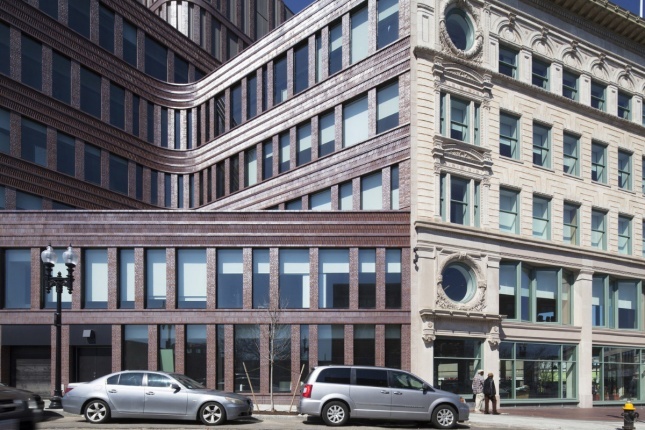 The integration of the freestanding stone facades was accomplished by convincing then-mayor Thomas Menino to purchase and expand the initial site to include two other buildings beyond the original’s single-facade scope. In between the historic remnants, Mecanoo paid homage to Boston’s history of intricate brickwork by designing snaking walls built from bricks laid vertically and in a variety of other patterns. Houben described the influence as “Boston meets the Netherlands”. 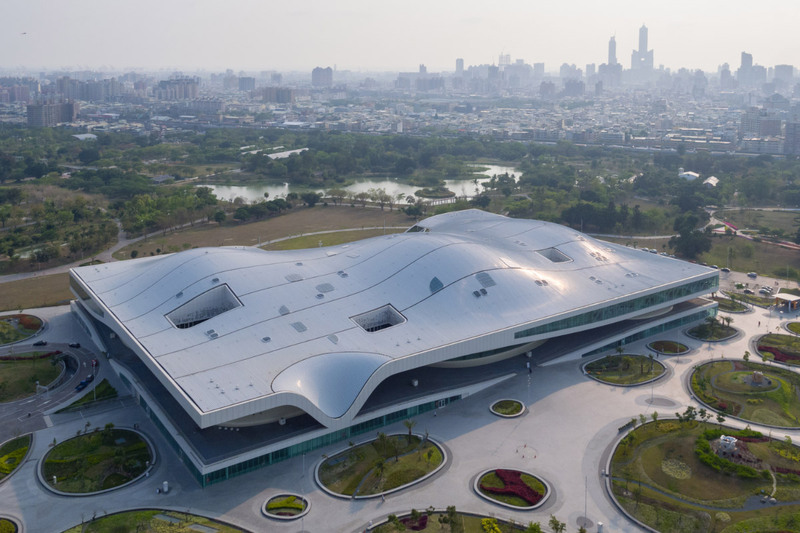 Infilling with sensitivity and drawing from the surrounding environment are strong hallmarks of Mecanoo’s work. But beyond the aesthetic appeal of the firm’s facades, Mecanoo makes sure that they’re also practical and contribute to the comfort of those inside.